We are here to make your winter an unforgettable one. Our goal is to develop a long term relationship with our customers. One that is not limited to a single transaction but rather a relationship that will remain long after we complete the rental process. The RS Venture GT is a comfortable 2-up snowmobile with some serious performance too. It shares the same fast-revving, high-torque Genesis engine that has made the Nytro such an awesome snowmobile with its lightweight 1,049cc four-stroke, three-cylinder, twin-valve, liquid-cooled engine. With 120 horsepower on tap, the RS Venture GT represents an attractive snowmobile option for performance-minded riders who also demand no less than the ultimate in comfort. A versatile 144″ track means this 4-stroke crossover sled is a true hybrid rough trail and off-trail machine. The FX Nytro X-TX shares the same fast-revving, high-torque Genesis engine that has made the Nytro such an awesome snowmobile. A lightweight fuel injected 1050cc 3-cylinder engine that produces so much torque from almost any rpm, you’ll catch yourself repeatedly punching the throttle just to feel how hard it pulls. To have such control over the power delivery, is addictive. Instantaneous throttle response tied directly to your thumb. And with Yamaha’s Engine Braking Reduction System, throttle transitions are smooth, with just enough engine braking to enhance the ride experience. The Renagade is one of the best trail sleds on the planet. You get the best of both worlds in combining the benefits of the longer track without giving up the precise handling of the MXZ. The Renegade allows you to venture off-trail for occasional fun and the 600cc engine is silky smooth, provides plenty of power for the vast majority of riders. 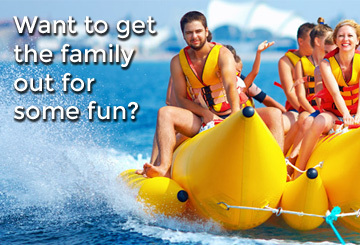 Click here to see our snowmobile rental rates. Snowmobile rental pick-ups start between 9:00AM-10:00AM on your first day of rental and are returned by 6:00PM on the last day of rental. THE RENTER BE AT LEAST 21 YEARS OF AGE AND POSSES A VALID CLASS G DRIVERS LICENCE . THIS INCLUDES ALL DRIVERS IN ADDITION TO THE PERSON RENTING. 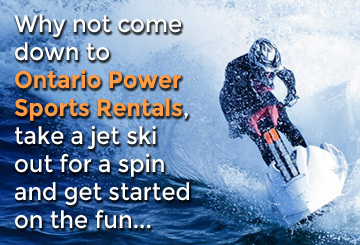 Call 647-389-RENT (7368) or 705-792-8553 , or email us at info@ontariopowersports.ca to reserve your rental. A 50% non-refundable deposit on Visa or Mastercard is required to confirm your reservation and the balance of the rental is due 48 hours before you pick up your rental unit. All prices are in Canadian dollars (plus applicable taxes). We accept Cash, Debit, Visa, MasterCard and American Express for rental payment. Pre-authorization/damage deposits are only accepted on Visa or MasterCard and American Express. The renter can pick up the rental snowmobile(s) from Ontario Powersports at 4855 19th Sideroad, King, Ontario. 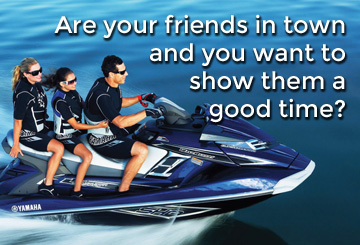 Ontario Powersports can also deliver the rental to your location. Delivery charges apply. 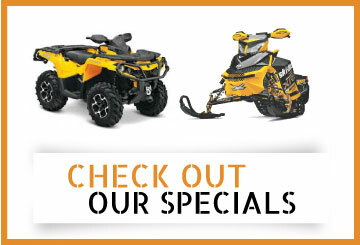 Please call Ontario Powersports at 647-389-RENT (7368) or 705-792-8553 for delivery rates. 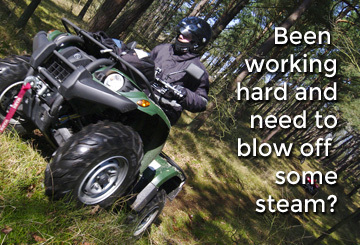 All clients, guest and participants are informed of the risk and dangers, including death and injury, associated with snowmobile and equipment rentals. You will be required to read, understand and sign a waiver, assumption of risk and indemnity agreement to participate or rent. Our rentals are only permitted to be used on approved OFSC trails.